Tech at Night: Net Neutrality was from the government, and it was here to help. Open Internet order loses. Net Neutrality struck down again. 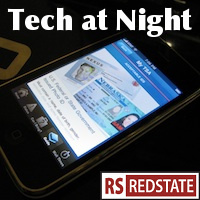 Tech at Night: When Snowden wins, America loses. Healthcare.gov is still insecure. FCC lost in court. Net Neutrality goes down again as the Open Internet order gets gutted. Some are worried about the future possibilities of the decision giving FCC too much flexibility in interpreting its own scope, particularly with respect to Title II Reclassification (see my post for an explanation of that term). I expect that they’d want to try Title II Reclassification no matter how the court tossed Net Neutrality though. Which is why we need to start talking the idea down and tell them to stop and rethink things. All you need to know about why Net Neutrality is bad though, is the Ronald Reagan line: Net Neutrality supporters are from the government, and hey are here to help. The free software movement used to be anti-monoculture when it was Microsoft making one. Well, now Google is making one, and with Google’s acquisition of Nest we’re actually Seeing some people vote with their feet. Well, at least with Nest. We’r not seeing people drop Google search, Gmail, or Youtube yet.